Use this round acrylic display table to make your products stand out. The clear design is not distracting and keeps the main focus on your displayed products. With a very simple design you do not have to worry about this display table fitting in with your pre-existing decor. 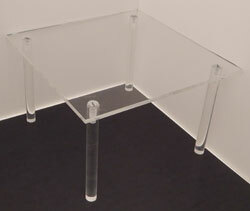 The acrylic used in the construction of our table is high quality to ensure durability. We carry a variety of heights for any unique display situation. 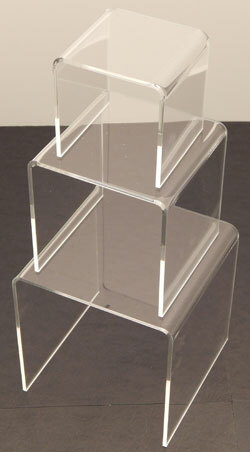 Create you own unique display with these clear acrylic display risers. Nesting risers can be mixed and matched to suit your current display needs easily. 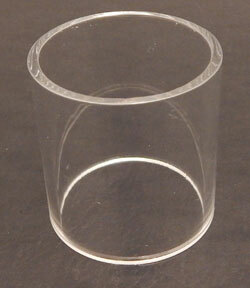 This acrylic riser set has 1/8" clear acrylic. You get: (1) 3"w 3"d 3"h (1) 4"w 4"d 4"h (1) 5"w 5"d 5"h square risers. This 12" x 12" acrylic display table is available in a number of sizes and is the perfect way to complete you retail display design. Large display surface allows you to display larger or more merchandise, conserving valuable retail space.